As a longtime follower of provincial politics and a resident of Calgary Hays, I am excited about the upcoming nomination contest to see who will be the next PC candidate for our area. Party nomination campaigns are an important example where local residents can really be part of the grassroots democratic process and have their say on who their party candidate will be in the next election. Due to the provincial electoral boundary changes, Calgary Hays will be split into two separate riding's once the writ is dropped for the next provincial election. The "new" Calgary Hays riding will consist of the following neighborhoods: Douglasdale, Douglasglen, Quarry Park, McKenzie Towne and Mckenzie Lake. Due to the fact that this is a new electoral boundary, the PCAA will be holding a candidate nomination contest to determine who will be the next representative for the PC party in the provincial election. I have been on the Calgary Hays PCAA board since 2008 and these nomination battles are always tough on the organization, but necessary for transparency and democracy. It is hard to see a group of people split on who they would like to support, but that is a necessary part of the democratic process. Art Johnston has been the MLA for this area since 2004. 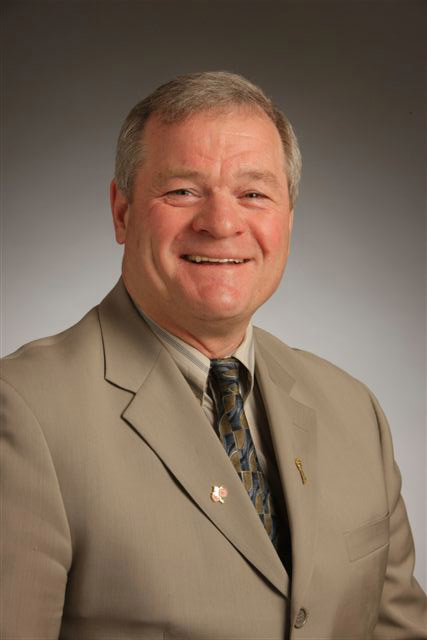 Ric had represented this area as the City of Calgary Ward 12 Alderman for nine years. He is a longtime member and volunteer for the PCAA. The nomination vote will take place at the Deerfoot Inn on Monday, December 5, 2011 from 4-8PM. A Canadian citizen, at least 16 Years of age of older. Be sure to bring two pieces of ID, to confirm residence in the area. If you would like to volunteer with Ric or buy a membership to support him, please contact Ric here. Best of luck to all of the candidates! This will be an interesting race to watch. I supported the Alberta P.C. Party for more than 40 years. I helped 5 MLA's get into office by donating money, donating my time and much more. The P.C.s today are old fashioned and do not pay attention to Voters. There are NO reasons for Alberta to be in a deficit financial position. Alberta P.C. 's are just not good financial managers. It has come time to vote for Wildrose.. Yes, I still like most of the old time Premiers and MLA's. Oil patch does not trust Alberta's Conservatives. A few years ago Alberta raised royalty rates which drove billions of investments out of Alberta. Some went into Saskactewan and some to B.C. and the rest went to other Countries. Eventually, Alberta rolled back the royalty rates but the billions of lost investments will never come back to Alberta. This Conservative Government even forced increases in existing legal long term royalty agreements in two Oil Sands developments. I heard many foreign investors are afraid to invest in Alberta because of this action Alberta had taken on existing long term royalty agreements.